Home 44 , 45 It wasn't menopause, it was a miracle! It wasn't menopause, it was a miracle! With my feet in stirrups, I asked my gynecologist about my symptoms, while she performed an internal exam. She said: Welcome to the menopause! She advised me to exercise, start a diet, continue taking the hormones and see her again in a year. On Friday, September 10, 1999, I saw another doctor. She suspected a large uterine or ovarian tumor and sent me for an emergency CAT scan. Afterward, I fell asleep in the waiting area. Someone was shaking my shoulder. Mrs Cohen. We did find something in you. We found a baby. For the next two-and-a-half months, I stayed indoors and lay on my left side. I turned 45 years old. 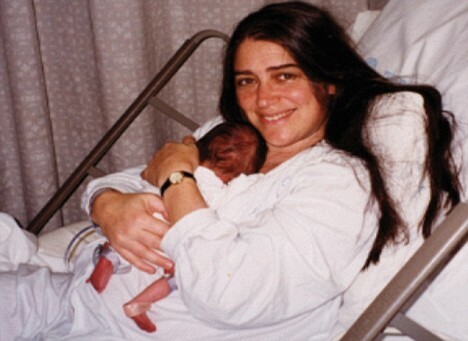 At 5.30pm on December 13, 1999, after a hellish 47-hour labor, I gave birth to our daughter. Originally posted on August 4, 2009. What are good, snappy comebacks to the question, Why aren't you pregnant? What is the difference between gonadotrophin releasing hormone and progesterone?